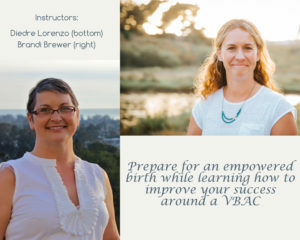 Prepare for an empowered birth while learning how to improve your successful Vaginal Birth After Cesarean (VBAC). Integrate mindfulness practices for pregnancy, labor and beyond while exploring your options and setting your intentions around your pregnancy and next birth. Get support, positive inspiration and information while connecting with other parents in an understanding environment.